If you have decided to become an educator, know that you have made the decision to take on a task that will change your life and the lives of your students. Congratulations on being willing to change the world one classroom at a time. If you wish to take on this task in Michigan, there are a few steps you will need to follow. Do you prefer teaching the alphabet or trigonometry? Would you rather tie shoes or fill out reference letters? Do young teenagers bring out the best in you? You must decide which areas and what grade levels are the best fit for you. This is a personal decision that should be made based on your preferences and talents. 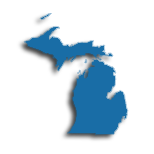 The Michigan Department of Education's website could help you make a decision as they have information on educators and schools in the state. Michigan requires a minimum of a Bachelor's Degree in order to become a teacher. In addition, prospective educators must complete a teacher preparation program. The college or university in which you complete your education must be accredited. 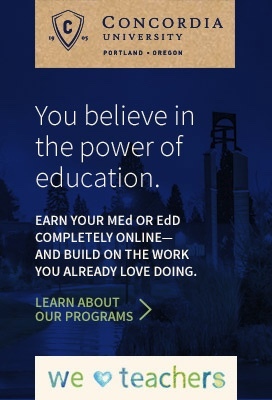 The majority of accredited programs are blended or joint programs. This means that, upon completion of required exams, you receive a teaching certificate in conjunction with the Bachelor's Degree. This is the type of program that the majority of teachers, who know from early on that they want to teach, will complete. If you already have a Bachelor's Degree, see the Alternative Teacher Certification in Michigan section below. Teachers in Michigan are required to hold a teaching certificate or provisional certificate when teaching in the classroom. As mentioned, this certificate is often gained through CAEP certified colleges and universities. However, out of state teachers must apply for certification through the Michigan Board of Education and be evaluated by the OPPS (Office of Professional Preparation Services). Teacher education programs typically consist of a set curriculum as well as some type of fieldwork. Curricula consists of classes on the science of teaching, methodology of teaching, and educational technology classes. Classes will also cover typical developmental stages for students of varying ages. The fieldwork aspect will vary from college to college, but observations in classrooms will be necessary. In addition to observations, student teaching will be required of all teaching candidates. A successful student teacher who is capable of demonstrating the creation and implementation of age appropriate lesson plans, writing reflections on those plans, and creating a work based portfolio will likely receive both a degree and certification. An alternate route to teacher certification in Michigan is available for you if teaching was not your first choice. This will allow you to complete an expedited program for teaching after transitioning from a previous career. This still requires a Bachelor's Degree and the completion of a transitional program, but is much shorter than returning to gain a Bachelor's in Education in the traditional manner. Upon the completion of the program, the passing of all required tests, and a recommendation for endorsements, this can result in the right to teach. However, the expedited program must be taught by a school that is certified to do so. Please note that special education and early childhood-general cannot be obtained through this method. At least 3 years of successful teaching in an position valid to your teaching certificate. After certification, you have earned at least 18 semester credit hours in a state board-approved college or university, or you have earned, at any time, a state board-approved graduate degrees (Master's Degree or Doctorate). Met the reading credit requirement established under state board rules applicable to the level you will teach (elementary or secondary). If you meet all other requirements for a Michigan teaching certificate, but do not meet all of the above listed requirements, you will be able to receive a one-year nonrenewable temporary teaching certificate. The temporary teaching certificate can be granted even without passing the Professional Readiness Examination and subject-area tests. Prior to actually receiving your teacher certification, you must pass certain basic skills and subject competency exams. These tests are used to test your knowledge of the field in which you are about to enter. These tests are required for all areas and for alternate route students. Tests include the Michigan Test for Teacher Certification (MTTC) and the Professional Readiness Examination (PRE). These tests are a requirement regardless of certification area. To find available tests visit the Michigan Test For Teacher Certification. Certain areas of certification such as occupational therapist, school counsellor, and school administrator may require further information. Please note that Michigan applications must be submitted by school districts, or other agents, not an individual. You have jumped through all the hoops, met all the requirements, and now it is time to begin your career as an educator in Michigan! The state Department of Education in Michigan uses a number of third-party websites in order to make sure that job postings are widely viewable. Teachers are encouraged to browse the Michigan Education Association (MEA) and the Michigan Regional Education Applicant Placement (MIREAP) to find opportunities that match their criteria. Currently, there is an ongoing need for applicants qualified to teach special education at the elementary and secondary levels, English, science, technology, and mathematics. Once hired, teachers can join the Michigan Education Association (MEA) as well as the American Federation of Teachers (AFT Michigan). Both are labor unions that support teachers individually and as a demographic throughout legal and labor issues. Labor unions also help in facilitating networking and professional development opportunities. Should an applicant wish to seek alternative employment to the public school system, they may apply to any of Michigan's 980 private schools which service just over 150,000 students. Teachers are advised that 77% of the schools have a religious affiliation, and almost 20 of those schools are gender-segregated. Teachers may find pay, opportunities, contracts, and retirement to be different from their public school counterparts. Teachers who retire from the public school system can draw a monthly fixed pension through the Office of Retirement Services (ORS) Public School Employees. The table below lists the number of public school teachers in Michigan by grade level during the 2012-2013 school year. There are more than 730 private schools with an estimated 8,400 private school teachers in Michigan. The table below details the number of teachers by grade level during the 2011-2012 school year. Professional development helps teachers and their colleagues engage in capacity building, advocacy, and support systems for their profession and students. The state is clear that professional development is meant to occur over time and has a self-reflective component. he state Department of Education in Michigan strongly supports rigorous professional development for educators throughout the state. Michigan's guidelines ensure that professional development opportunities are effective and are designed to improve the learning outcomes for all students. Michigan is committed to continuous improvement, collective responsibility, and goal alignment throughout the various educational stakeholders. Effective professional development allows each teacher to become a leader and increases learning and leadership effectiveness. Teachers in Michigan are encouraged to use the state Department of Education as a resource in order to find professional development opportunities that are relevant for their career goals and classroom profile. Teachers are also welcome to search through resources like Michigan Online Resources for Educators (MORE) in order to round out their professional development opportunities. While a master's degree is not required to teach in Michigan, it certainly comes with plenty of benefits. Earn a master's and you'll meet the requirements for renewal of a Standard Teaching Certificate. Then, after three years of teaching, a master's degree will allow you to meet the requirements to advance from a Standard Teaching Certificate to a Professional Teaching Certificate. A master's degree alongside your Michigan teaching certificate may also equate to better pay. For example, teachers in the Detroit Public Schools Community District earn a minimum annual salary of $38,500, while those with a master's degree earn a minimum salary of $40,335 - an increase of nearly $2,000 annually.